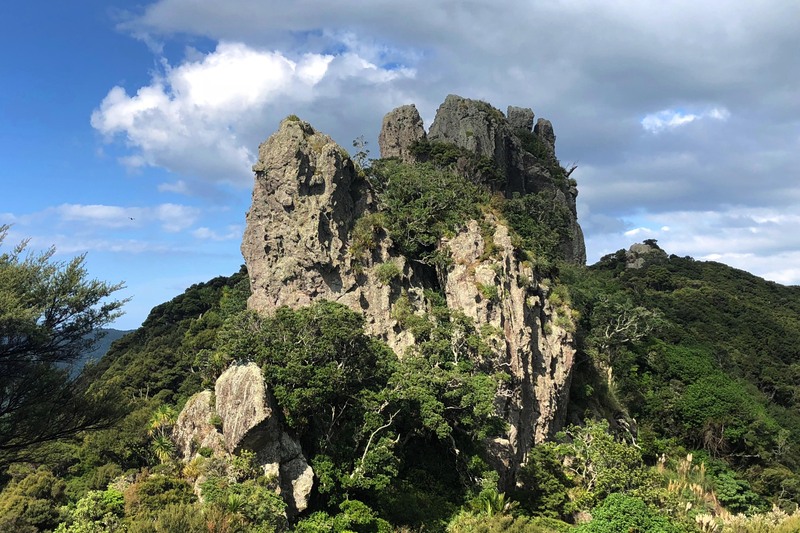 Mount Aubrey and Reotahi coastal walkways form a perfect loop walk. There are a few different ways to start the walk over Mt Aubrey. Regardless of starting from the Tiller Park car park or Little Munro Bay, this track quickly has you climbing! It will not take long to get to the ridge though. The surrounding bush keeps you cool in the shade. There are lovely rest spots with seats and plenty of opportunities to stand and admire the views. If you walk quietly, a variety of birds will no doubt serenade you. Pataua and the Pacific coastline can be seen to the north, together with Whangarei Heads and Mt Manaia to the east. This is a fantastic walk through native broadleaf forest and volcanic peaks. You can combine this walk to include the Reotahi walkway. This walkway can be done in a few different ways. Park at either Little Munro Bay, Tiller Carpark or Beach Rd carpark in Reotahi. This walk follows the water’s edge and is an easy gravelled path. If you walk Mt Aubrey you will no doubt walk part of this track as well to get back to your car. Catered unguided walks packages available.